Today's review will be about one more Avon Supershock product ! 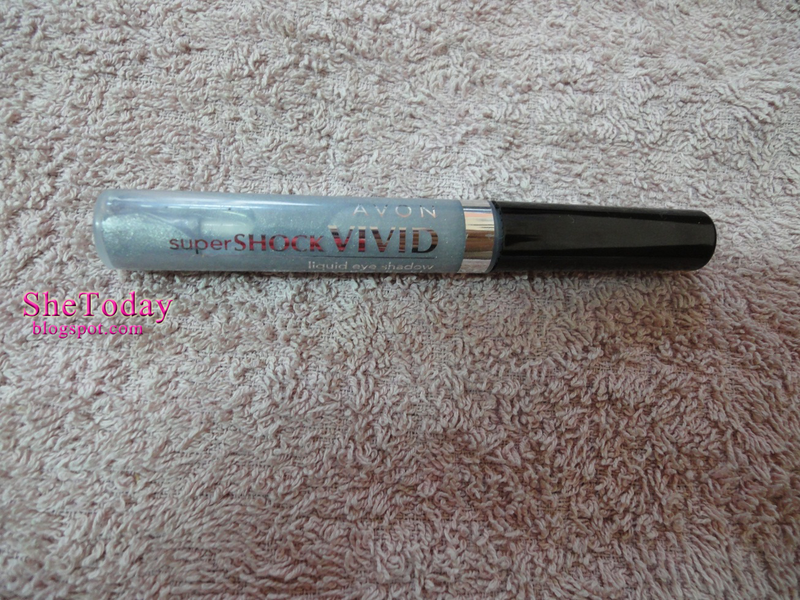 It's Avon Supershock Vivid Liquid eyeshadow ! What Avon has to say about it : A new eyeshadow experience in colour and shine! Brilliant pearlised liquid eyeshadow infused with moisturising vitamin E – just shake the bottle to mix the ultra fine pigment and moisturisers. 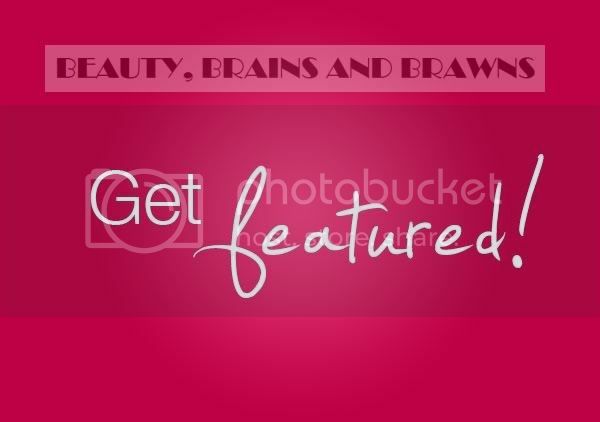 When i went through Avon's catalogue my eyes fell on the color of this eyeshadow! 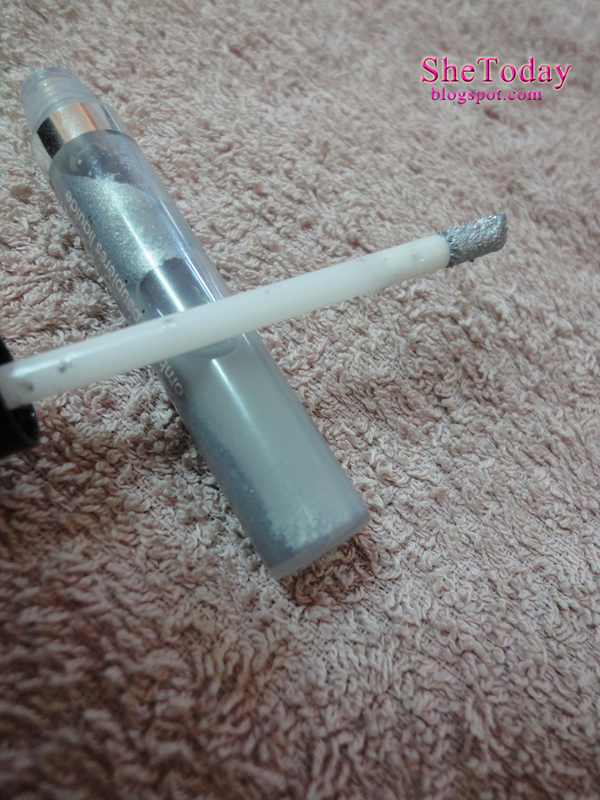 I really liked the silver/metallic color, it was something i was looking for !And i loved the package (i compare it to a lip gloss) , i had to give it a try ! 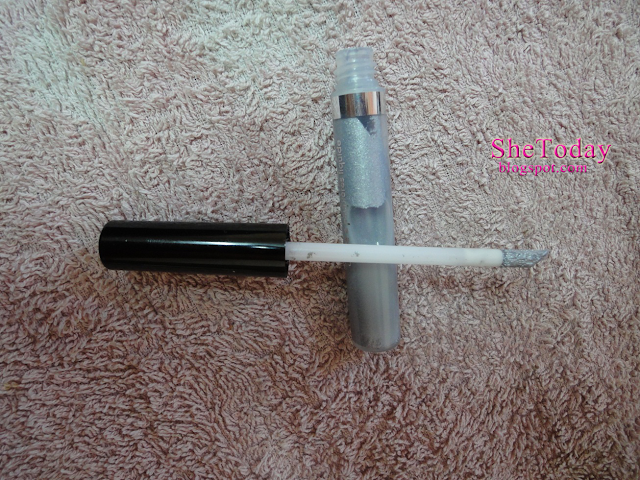 I find the application easy thanks to the sponge applicator ! 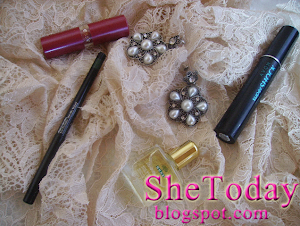 When applied on the eyelids, its cold,watery and wet! So i keep my eyes shut for a minute until it dries. If you are into metallic colors,sponge applicators and using just one eyeshadow color than i think you'll love this product :)! well written dear ! following you now !